In a beautiful kingdom, flourishing under the guidance of a wise monarch, a terrible ogre settled. The evil giant-eater terrorizes the neighborhood, forcing local residents to hide in their homes. 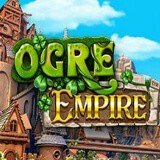 This is the plot of the “Ogre Empire” game machine by Betsoft Company.